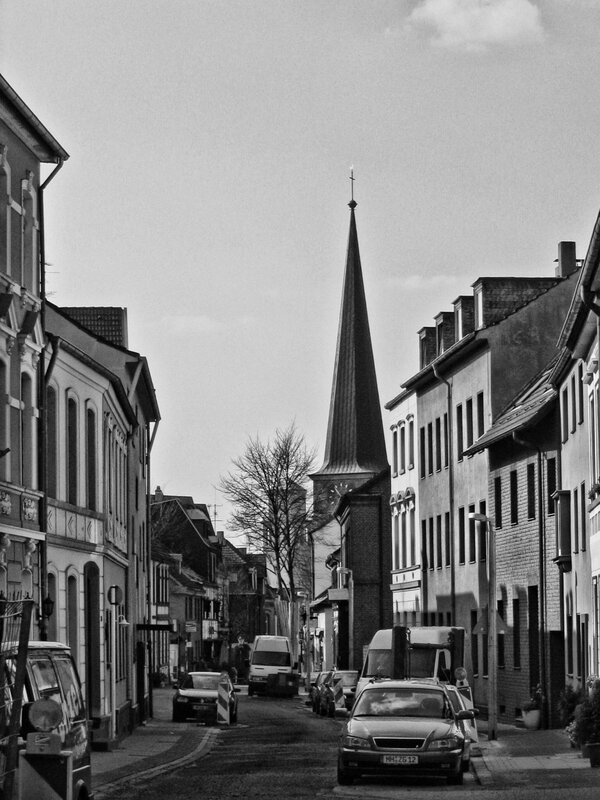 When I started the City Views series back in July of last year, I began with Mülheim’s old inner city. Here’s another photo of that area from 2004 I recently found when browsing through the archives – to my surprise I just discovered that you can not only see the tower of the protestant church here, but also the tower of the city hall on the left of it behind a bare tree. I suppose it’s impossible to take that photo today because the tree probably has grown much bigger!